In the 2030 Agenda, we outlined a way forward that focuses on sustainability in both the developing and the developed world. Meanwhile, through the Paris Agreement, nations acknowledged that climate change poses a threat to the security and prosperity of all societies that we can only address together. These are victories for multilateralism, which the United Nations embodies like no other organization. They are also milestones for the environment, which UNEP has championed for over four decades – presenting cutting-edge science through the Emissions Gap and Global Environment Outlook assessments to assist nations to understand and develop their policy and management responses. Crucially, the Sustainable Development Goals integrate environmental sustainability and social equity with economic progress. Such integration – the idea that environmental sustainability is not an impediment to, but a driver of, development and human well-being – has been a key focus of UNEP’s work. As you will see in this Annual Report, initiatives such as The Economics of Ecosystems and Biodiversity (TEEB) and ProEcoServ continue to demonstrate that recognizing the tangible economic benefits of ecosystems is central to creating inclusive green economies and lifting millions of people out of poverty. 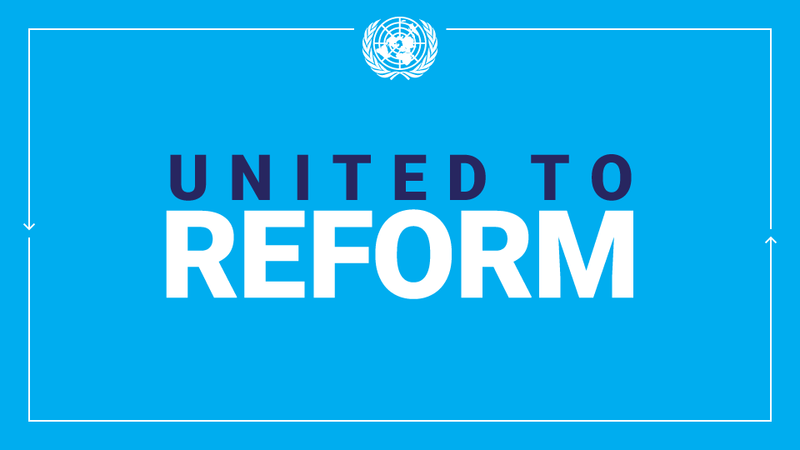 With these landmark agreements in place, we have a new opportunity to unify global agendas. Yes, we can reflect on the impressive progress we have made. But, to be clear: once the glow of these achievements fades, we must redouble our efforts. For example, we must find a way to cut an additional 12 gigatonnes of carbon dioxide equivalent from annual emissions by 2030 to give us a real chance of keeping the world below a 2°C temperature rise this century. We can achieve our goals if we focus on solutions that drive an inclusive green economy: increased renewable energy and energy efficiency measures, conserving and expanding forest cover through initiatives such as Reducing Emissions from Deforestation and Forest Degradation (REDD), the sound management of chemicals, embedding sustainable consumption and production practices at every level of society, and assisting nations to adapt to the impacts of climate change, to name but a few. These are all areas in which UNEP, in collaboration with many inspiring partners, has led the way. A simple truth is that finance is central to our aspirations. The good news is that this message has been heard across the board. For example, the international community in December pledged $10 billion tothe Africa Renewable Energy Initiative. This initiative – led by Africa and supported by UNEP and key partners in the international community – represents a step change for renewables on the continent. It will provide access to clean power to millions, minimizing greenhouse gas emissions and reducing the air pollution that claims hundreds of thousands of lives each year. This triple gain on access to energy, climate and human health is exactly the kind of result we must pursue to reach our goals. The private sector is also putting its capital behind a better future for all. For example, under the Portfolio Decarbonization Coalition, which is led by UNEP and partners, over two dozen major institutional investors had by December 2015 committed to decarbonize over $600 billion of assets under management. These financial steps, just examples of the many underway, represent investments that can bolster the 2030 Agenda and Paris Agreement. Now we must shed light on best practices to prompt the mainstream of our economies and markets to follow – as UNEP is doing through the Inquiry into the Design of a Sustainable Financial System, which in 2015 released its ground-breaking report on how to harness the assets of the world’s financial system for sustainability. In this pivotal year, I could highlight many other examples of how UNEP’s work informs and facilitates a rapidly evolving public policy landscape, which in turn leverages the development of technology, finance and markets in support of globally agreed environmental goals and priorities. Instead, I invite you to browse this report and discover the breadth and scale of the achievements of this organization, which I have been privileged to lead for ten years. I hope what you read will motivate you as much as it has me, for we must all be inspired to deliver on the promises made. Working through dozens of global initiatives and multilateral agreements, and hundreds of partnerships, and by supporting governments and communities directly, UNEP will continue to build on the successes of 2015. Through its Medium-Term Strategy and Programme of Work, it will align itself to help deliver on the 2030 Agenda and continue to convene the global environmental community to do the same. One such opportunity will come in May 2016, when we will host the second United Nations Environment Assembly (UNEA-2) at our headquarters in Nairobi. UNEA-2 focuses on the environmental dimension of the 2030 Agenda to add further momentum to the quest for a healthy environment for healthy people. I would like to express my gratitude to our partners across the planet, whose vision, as well as political and financial support, has enabled UNEP to rise to the challenge of making a difference. The milestones of 2015 are also an affirmation and validation of the 1972 Stockholm Conference decision to establish within the United Nations family a programme dedicated to the environment – UNEP. Over the past four decades many have worked tirelessly to turn this vision into a reality. UNEP has evolved and thrived as part of an ‘ecosystem of individuals and institutions’ – such as the United Nations family, non-governmental organizations, the scientific community, and national ministries and authorities responsible for the environment. It also succeeded in becoming the authoritative ‘voice for the environment’ because of the professionalism of its staff and the leadership of its successive Executive Directors. I would like to take this opportunity to pay tribute to all of them – in particular to UNEP’s first Executive Director, Maurice Strong, whose passing just days before the Paris Climate Conference of the Parties provided a poignant reminder of the foundational legacy he created, upon which we have built our work and progress to date. His vision, dedication and lifelong commitment to the environment and sustainable development remain an inspiration and speak to the power of individuals to make a difference. This entry was posted in News, Reports and Publications and tagged 2030 Agenda, Achim Steiner, environment, environmental sustainability, Paris Agreement, ProEcoServ, report, SDGs, Sustainable Development Goals, TEEB, UNEP on May 2, 2016 by United Nations.